Product #21532 | SKU UNZB2BL | 0.0 (no ratings yet) Thanks for your rating! 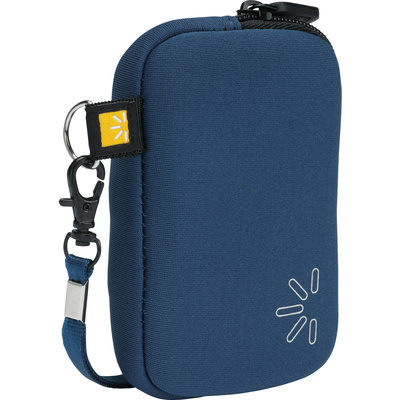 The Case Logic UNZB-2 Universal Pocket (Blue) is designed to carry and protect ultra compact cameras, MP3 players, cell phones or other small portable electronic devices. The stretchy neoprene case protects the camera or electronic device while minimising bulk. A stiff front panel protects the delicate LCD screen. The compact design easily fits in a pocket, purse or backpack and a detachable wrist strap is included.